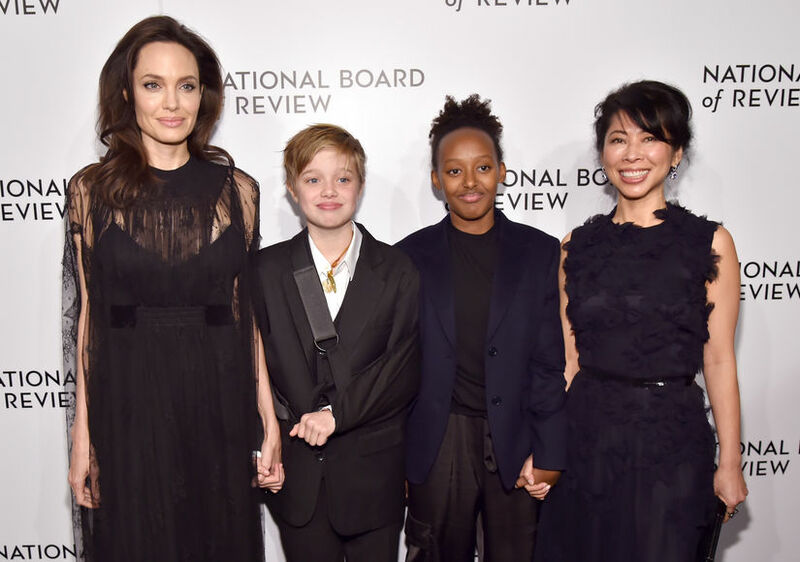 Last night, actress and director Angelina Jolie hit the red carpet with her daughter Shiloh and Zahara Jolie-Pitt at the National Board of Review Awards Gala in NYC. 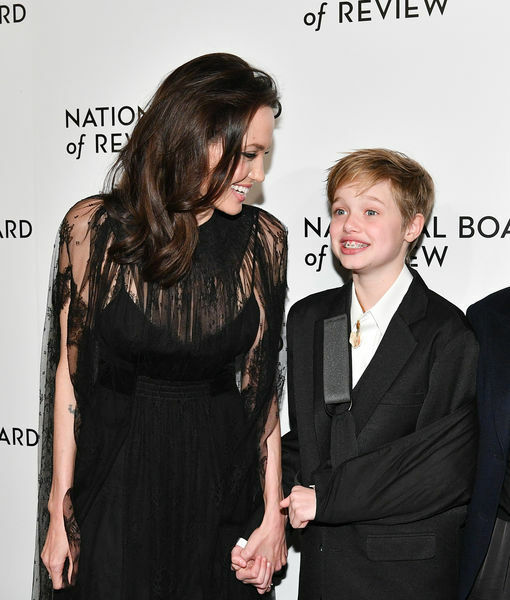 It was the first public appearance for Shiloh after she broke her arm over the holidays. Though her arm was in a black sling, Shiloh was still able to smile for the camera and show off her braces! 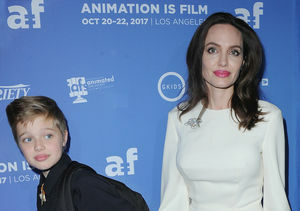 Angelina has been quite busy this award season, attending the Golden Globes with son Pax on Sunday while Shiloh was out shopping in Los Feliz. Angelina Jolie's Glam Night Out with Her Kids!